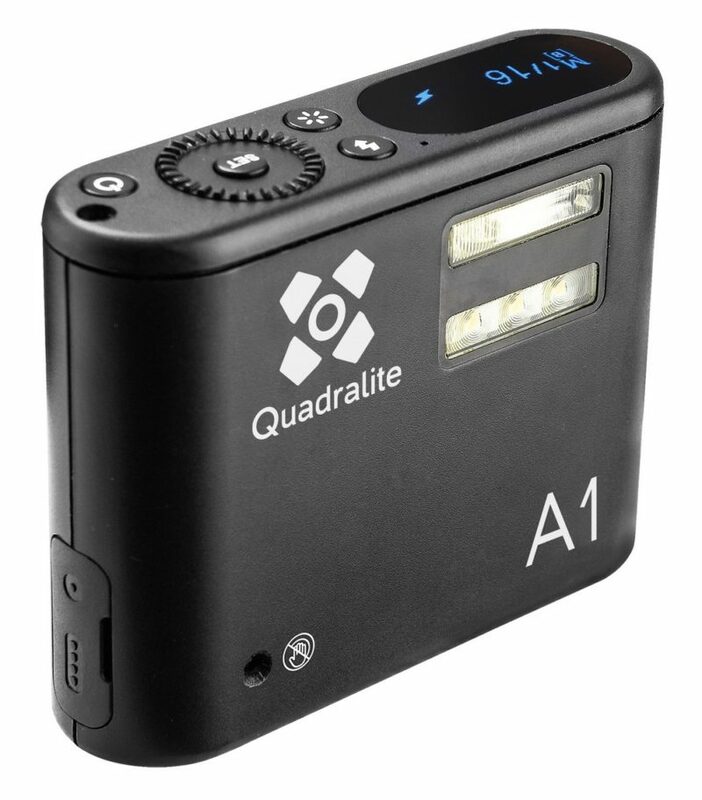 Polish photographic lighting brand Quadralite has announced the launch of their 3-in-1 flash, lamp and radio trigger, the Quadralite A1. It is their own branded version of the Godox A1, with identical features and specifications. According to Quadralite—which has sellers all over the European mainland—the A1 is ‘the gate to the world of studio photography’. Able to act as a flash or video lamp in its own right, the Quadralite A1 is also compatible with the Quadralite/Godox 433 MHz and 2.4 GHz wireless studio flashes. The distributor is running an exclusive invitation-only press event on 7th November in Krakow, Poland, to demonstrate the capabilities of the Quadralite A1 in combination with the latest Quadralite studio lights and accessories. The following day (8th November), there will be a product launch event open to the public. To register your interest for the open event, e-mail Anna Stypa on [email protected]. More details of the event will be announced ‘soon’. The Quadralite Photo app will be released on the iOS App Store for free, with an Android version set for released by “the end of this year”. Recommended retail price for the Quadralite A1 itself is €79, and it will be available in the middle of November 2017. For more information, visit the Quadralite web site.